There will be many new faces on the Los Angeles Lakers roster for the upcoming 2015-16 NBA season. Veteran Lou Williams is one of these newcomers anxious to make an impression while playing alongside a couple of motivated young players in D’Angelo Russell and Jordan Clarkson. 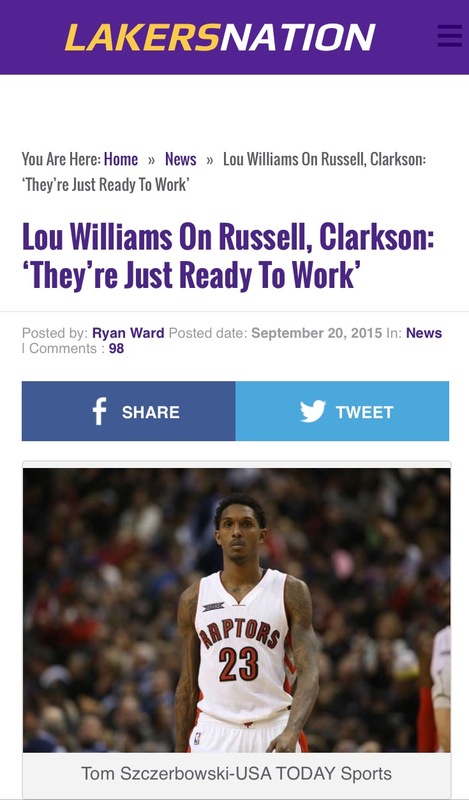 “They’re just ready to work,” Williams said. “One thing I can say about these guys is they come in with their ears open, eyes wide and ready to listen and learn. At the same time, they’re trying to prove themselves against veteran guys such as myself.